Whatever your situation, Total Freedom is about setting you free and giving you new confidence to enjoy, laugh and lead the happy life you deserve. 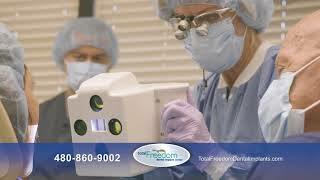 Total Freedom Dental Implant Center is continuously evaluating new and innovative ways to improve treatment and reduce cost. We are well aware that cost is the number one reason patients are unable to proceed with treatment. Therefore, Total Freedom is continuously evaluating new and innovative ways to improve treatment and reduce cost. We are pleased to announce that we are using new technology that allows us to improve accuracy and reduce your treatment time to as few as three appointments and approximately 5 hours of your time to change your life. What makes us different? And, how do we do it so quickly? 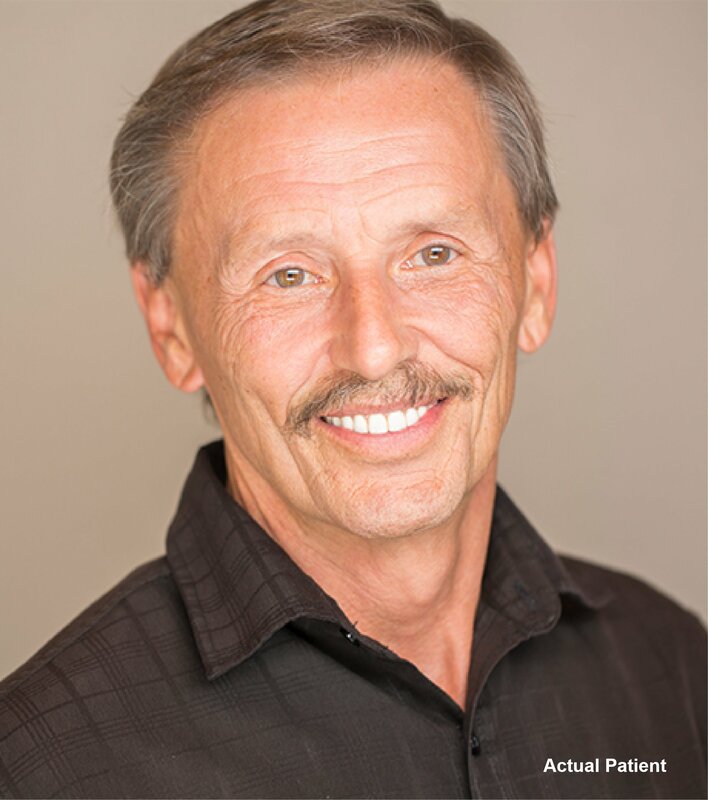 We are excited to be one of the few practices in the United States to offer the ability to truly make permanent hybrid teeth reinforced with titanium and attached to implants in just 24 hours! We’re able to do this because we’ve invested in research, the best technology available, and in hiring a highly skilled team. Why Total Freedom? 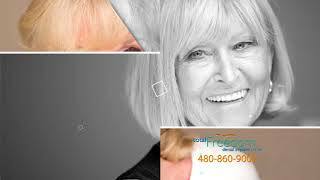 Total Freedom is a custom solution and one of the most well recognized dental implant providers in Scottsdale and Phoenix. We’re about providing the treatment that best fits you. That could mean a full set of new teeth. It could mean fewer implants than you anticipated. It could mean you don’t require any implants at all. When we can save the teeth you have, that’s what we recommend. Since the Total Freedom specialists are all under one roof, you typically have your new teeth in one day. Of course, there will be pre- and post-procedure appointments. Total Freedom is also here for you as long as you like. We’re prepared to help care for you and your new teeth in the years to come. 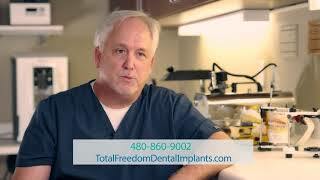 Total Freedom Dental Implant Center is about your confidence restored. 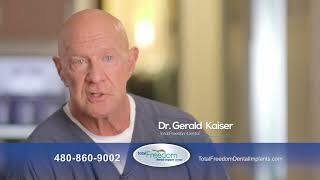 Total freedom dental is the best. They treat you with such kindness and respect. I highly recommend them to everyone. I love this place from the time I walked in the front door everyone was welcoming and professional. Dr. Kaiser and Dr. Sims are great. Their office made me feel comfortable and at ease which when having dental work is hard to achieve! They took the time to explain in detail the treatment plan, insurance questions and everything in between and believe me I had a lot of questions. I had 2 implants placed and I couldn’t be any happier with the results! Five months ago I walked into Total Freedom Dental Implant at 7 AM with my anxiety level to the highest ever. After 7 hours surgery with Doctor Kaiser, I was home recovering, it was somewhat painless except for the swelling. After my 5 months healing, I was back for several days and several hours in the dental chair with Doctor Simms. Today I’m back to Indy with a beautiful smile. Everyone that knows me well knows how high my expectations always are. I’m extremely happy with the results of this journey and want to give my greatest thanks to all the people involved. (Lab crew, front office, dental staff and especially Allison who had to deal with my many concerns and anxiety). Everyone was always welcoming and helpful. It was the biggest decision of my life and I have no regrets. 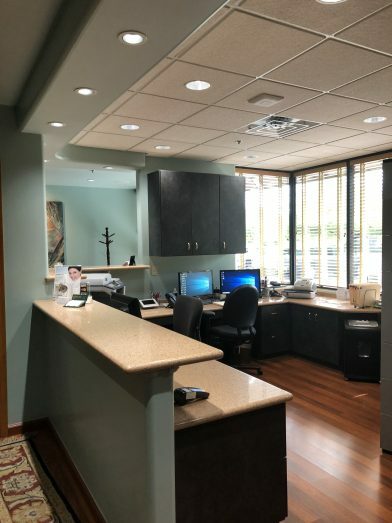 As a person who formally was afraid to go to the dentist I can honestly say that going to Total Freedom Dental Implant Center is a non-threatening painless experience…. I drive approximately 55 minutes to go to Dr. Sims and Dr.Kaiser. I have had fillings crowns and implants from other dental facilities and always had pain. I am happy to report that I experience no pain even with my implants I am given proper medication and have no problems at all. Both Dr. Simms and Dr.Kaiser plus the technicians all are very accommodating and asked several times to make sure they know if I have any pain so they can deal with that. Also, the office staff are very very friendly and I want to say a big thank you to Kathleen for making sure all details are attended to. After over 55 years of being afraid to go to the dentist it is so nice to know I am not going to be in pain. Thank you sincerely to Total Freedom dental implant for making my smiles nice as it is, which is due to not just Implants but crowns as well.